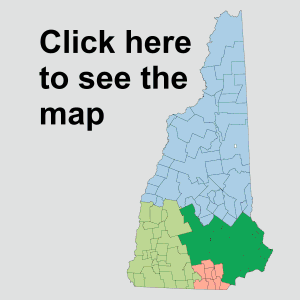 Each New Hampshire town will be assigned to one of our four regional Destination Imagination tournaments. Please do not assume that your town is assigned to the same regional tournament that your teams went to last year. Each year, we usually have to move a few towns to a different regional tournament. This is due to changes in the distribution of teams within the state that could lead to overcrowding at tournaments, and changes in tournament locations that can significantly affect travel times. 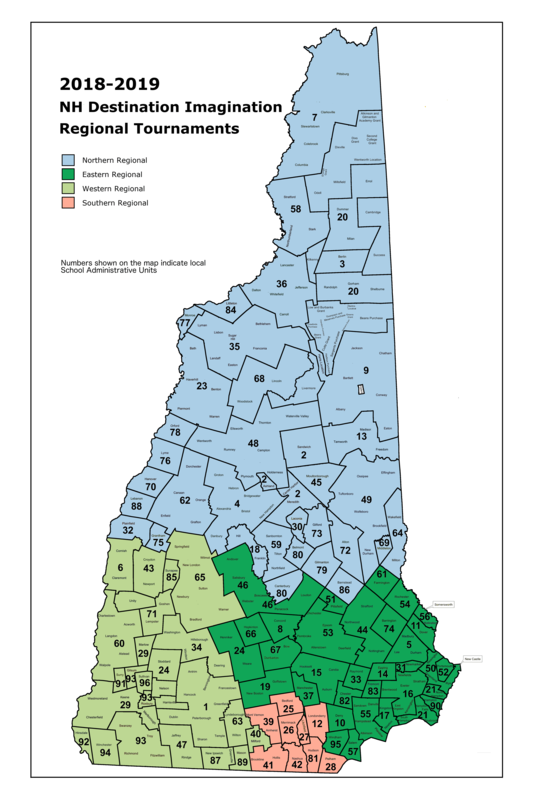 It’s possible that your town has not been assigned to the closest regional tournament. There is a limit to the number of teams that we can accommodate at any given regional tournament, and some communities have many DI teams. This means that we don’t always have enough room for all of the teams from every nearby town. In determining the regional assignments, we really do look at the distances involved, though, and try to do our best to keep your drive as short as possible!